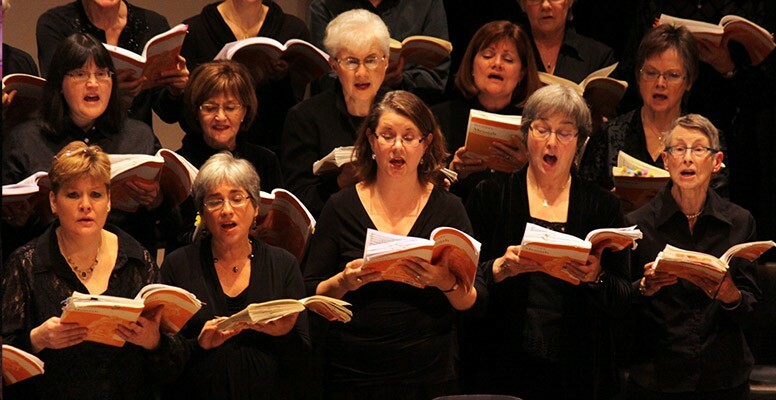 The Symphony Nova Scotia Chorus was established in 2001 under the leadership of chorus master Jeff Joudrey to provide a highly trained symphonic chorus for performances with Symphony Nova Scotia. The Symphony Chorus includes auditioned singers from across the province, as well as the Halifax Camerata Singers as the core choir. Each December the Symphony Chorus performs Handel’s Messiah with Symphony Nova Scotia. The ensemble also has appeared in exciting performances of Brahms’ Requiem, Haydn’s Creation, Mozart’s Mass in C minor, J.S. Bach’s Mass in B minor, and Beethoven’s Symphony no. 9. For information or auditions for the Symphony Nova Scotia Chorus, contact chorus master Jeff Joudrey here. Want to get more involved with choral music in Nova Scotia? Contact the Nova Scotia Choral Federation. Jeff Joudrey is highly regarded for his vision, musical leadership, and standards of excellence in choral music. He is the Artistic Director of the Halifax Camerata Singers, which he founded in 1986. Under his direction the choir has developed an enviable reputation for performance excellence and innovative programming, as well as for promoting choral music throughout the Maritimes. Camerata has four recordings that are regularly featured on CBC Radio, and the choir was the winner of the prestigious Healey Willan Grand Prize as well as first place in the Chamber Choir category in the 2010 National Competition for Amateur Choirs. Camerata was also honoured to be one of the showcase choirs in the first biennial Edmonton International Choral Festival in 2017. Jeff is Director of Music at Trinity-St. Stephen’s United Church, Amherst, and Chorus Master of the Symphony Nova Scotia Chorus. He is past president of Choral Canada and a former president of the Nova Scotia Choral Federation. In addition to serving on juries for the Juno and East Coast Music Awards, the Canada Council, the Ontario Arts Council, and Choral Canada, he is in demand nationwide as a choral clinician, teacher, adjudicator, and guest conductor. He is honoured to have been chosen as the 2018 conductor of the National Youth Choir, which will perform in Newfoundland and Labrador in June and July. Jeff is an enthusiastic supporter of Canadian choral music and frequently commissions works from established and emerging young composers. 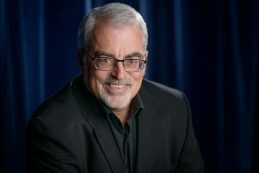 Committed to the development of young singers, he has been guest conductor of the Nova Scotia Youth Choir, the Montreal CBC/McGill Youth Choir Festival, and Ottawa’s Unisong. He also has served on the faculties of Dalhousie University and Acadia University as well as the Nova Scotia Choral Federation’s Institute of Choral Conducting. A native of Nova Scotia, Jeff studied organ at Acadia University and the Haarlem International Academy in the Netherlands before attending McGill University to study with organists John Grew and Raymond Daveluy. His choral mentors include Canadian conductors Elmer Iseler and Wayne Riddell, and German conductor Helmuth Rilling.